In a move that came as a surprise, NASA decided to unberth the Cygnus OA-7 resupply craft from the ISS over a month ahead of schedule. 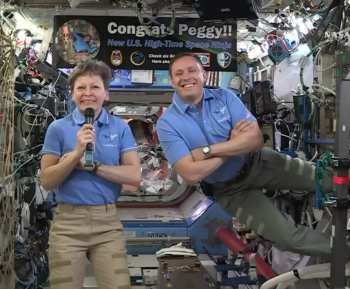 The move will help alleviate the down-sized ISS crew’s workload in July. 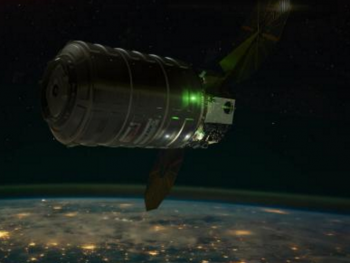 The OA-7 Cygnus is now set to spend a week in free-flight performing the SAFFIRE III experiment and deploying satellites for Nanoracks before destructively reentering Earth’s atmosphere on Sunday, 11 June. Why the early farewell for OA-7 Cygnus? 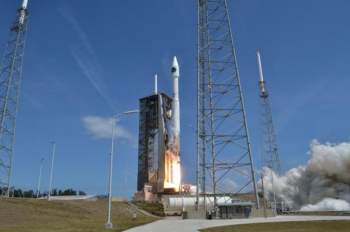 When the S.S. John Glenn Cygnus launched atop its Atlas V carrier rocket on 18 April, the intention – as well as the stated goal – was to have the craft remain berthed to the ISS until July. While it appears this plan changed somewhat drastically and quickly – as no previous hint had been made that Cygnus might come back any earlier than July – the decision to preserve an option to unberth Cygnus more than a month ahead of schedule was taken quite some time ago. 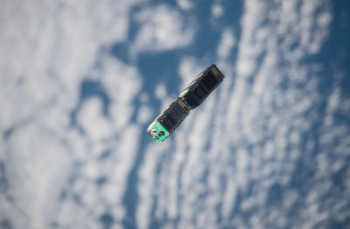 In fact, the plan – according to NASA – had always been to pack up the OA-7 Cygnus with most of its disposal cargo before Oleg Novitskiy and Thomas Pesquet’s departure from the Station – which occurred Friday morning. Novitskiy and Pesquet’s return to Earth reduced the Station’s crew compliment from five (already one less than normal) down to three for all of June and almost all of July. At present, the ISS will not return to a standard 6-person crew compliment until 27 July when the Soyuz MS-05 craft launches with three new crewmembers for the Station. Soyuz MS-05 had been slated to launch on 29 May, but a technical issue in January necessitated the shuffling of the Soyuz capsules scheduled to fly the MS-04, MS-05, and MS-06 missions. The Soyuz for MS-05 had originally been assigned to the MS-06 mission and suddenly found its schedule advanced significantly – with engineers only able to pull the craft’s launch readiness to late-July, thus delaying MS-05 by two months. With this delay known, Roscosmos, ESA, and NASA declined to extend Novitskiy and Pesquet’s mission to match the realigned July launch date of MS-05 and determined that bringing them home in early June was best. Their departure left Fyodor Yurchikhin, Jack Fischer, and Peggy Whitson aboard the outpost. Saturday morning, Fischer and Whitson finished packing up Cygnus and closed the hatches between the two vehicles. Now, Yurchikhin, Fischer, and Whitson can focus their energy and activities on the upcoming SpaceX CRS-11 resupply mission – which contains several experiments that need to be performed in the 30-day span Dragon is berthed to Station so they can return to Earth on Dragon. 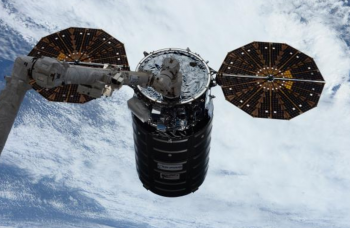 With Dragon originally scheduled to arrive at the Station on Sunday, 4 June and stay through early July, Cygnus was – in reality – in a holding pattern with its mission at the Station complete as it awaited time in the crew’s schedule for them to release the craft. Then, on Thursday afternoon, came a moment that was planned for as a contingency: CRS-11’s launch scrubbed due to weather. With CRS-11 realigned to a Saturday launch and a Monday berthing, a single-day window opened in the ISS crew’s schedule to allow them to unberth Cygnus and send it on its way ahead of Dragon’s arrival. According to NASA, in response to NASASpaceflight.com queries, “It all comes down to timing. Cygnus is packed and a window exists for it to leave now. 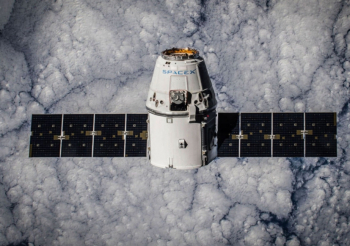 “With Dragon’s arrival now delayed, a small window in the crew’s time opened up allowing them to release it. Had Dragon arrived on time, the influx of science with time sensitive requirements would have consumed the vast majority of crew time available as we’re down to two USOS (United States Operating Segment) with Pesquet leaving today. With that, ISS crew reduction, Soyuz launch delays, and the CRS-11 weather scrub all aligned perfectly to create a single-day opportunity to get Cygnus away for the next phase of its mission – a one week free-flight to deploy Nanorack satellites and conduct the SAFFIRE III experiment. Importantly, the decision to release Cygnus early had nothing to do with the craft itself. Following the departure of Soyuz MS-03 Friday morning, Whitson and Fischer – working in the Cupola at the Robotics Work Station – maneuvered the SSRMS (Space Station Remote Manipulator System, or Station arm) toward Cygnus. 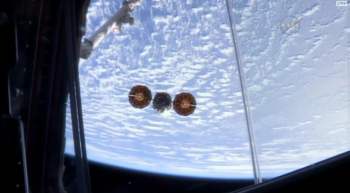 The pair successfully grappled Cygnus with the SSRMS Friday afternoon. Under the current schedule, available for download on L2, bolts were driven to the retract position on Cygnus, physically separating it from the ISS on Sunday morning. 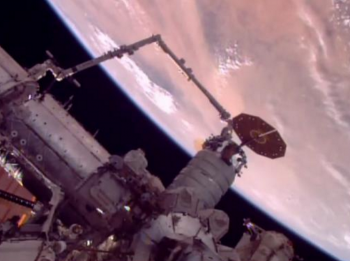 With those bolts withdrawn, Whitson and Fischer uninstalled Cygnus at 07:05 EDT (11:05 GMT) on Sunday, 4 June. Unberth was timed to take place during orbital night, 9 minutes 49 seconds before orbital sunrise. Once in orbital day, Whitson and Fischer drove the SSRMS to maneuver Cygnus into its proper release attitude. This SSRMS maneuver began at 07:35 EDT (11:35 GMT), ending five minutes later at 07:40 EDT (11:40 GMT). 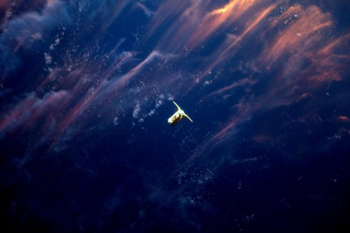 The Station, with Cygnus still grasped tightly in the snares of the SSRMS, passed into orbital night at 08:24:20 EDT (12:24:20 GMT), emerging back into the sun’s rays at 08:57:31 EDT (12:57:31 GMT). The primary release window for Cygnus opened at 09:07:31 EDT (13:07:31 GMT) – 10 minutes after the Station re-emerged into sunlight. NOTE: All times from here are based on the nominally planned release time in the primary window. Day of event considerations can – and often do – change this timeline. However, the events matched the real time procedures closely due to a smooth path to release. The Station was commanded to free drift at 09:08 EDT, with release of Cygnus following two minutes later at 09:10 EDT (13:10 GMT). 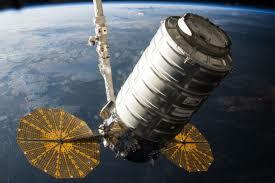 Once the SSRMS released Cygnus, the arm was backed slowly away. One minute after release, at 09:11 EDT (13:11 GMT), Cygnus began its Departure Burn and Attitude Maneuver – a 3 minute burn that pushed Cygnus away from the ISS. The Departure Burn wrapped up at 09:14 EDT (13:14 GMT), with Cygnus exiting the Station’s Keep-Out Sphere (KOS) 10 seconds after the Departure Burn’s completion. The Station resumed standard orientation operations, exiting free drift at 09:25 EDT (13:25 GMT) – 15 minutes after Cygnus’ release. At 09:31 EDT (13:31 GMT), 21 minutes after release, Cygnus will exit the ISS’s Approach Ellipsoid – officially ending joint ops between NASA and Orbital ATK controllers in Dulles, Virginia, who will take sole control of Cygnus at this point. Forty-one minutes after release, Cygnus will be 6 km (3.7 mi) from the ISS. The primary release window closes at 09:46:58 EDT (13:46:58 GMT). A backup window for Cygnus’ release, should it be needed, opens at 10:40:13 EDT (14:40:13 GMT) and closes at 11:19:37 EDT (15:19:37 GMT). Following release, Cygnus will perform the A1DV burn at 13:04:54 EDT (17:04:54 GMT). The A1DV burn will last for 16 seconds and will change Cygnus’ velocity by 1.41 m/s (4.62 f/s). This will help properly set up for SAFFIRE III (Spacecraft Fire Experiment III), which will start on Sunday at 16:00 EDT (20:00 GMT) – 6 hours 50 minutes after departure from the ISS. The SAFFIRE III experiment will see Cygnus’ controllers deliberately ignite a fire inside a special containment module inside the spacecraft’s pressurized cargo volume. The inside of this special experiment module contains material samples commonly found on the ISS as well as those under selection for NASA’s Orion spacecraft. Fire studies in space have been extremely limited in the past due to the potentially life-threatening nature of such experiments during crewed missions. 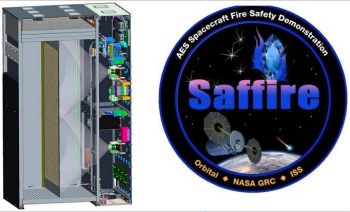 SAFFIRE III, like its two predecessors, will continue to provide a safe way to study a realistic fire aboard a spacecraft thanks to the uncrewed and end-of-mission destructive nature of Cygnus flights. In this way, Cygnus provides NASA a real, safe, in-flight test bed for understanding how a fire works, spreads, and dies in microgravity while exposed to the various materials a spacecraft is built from. 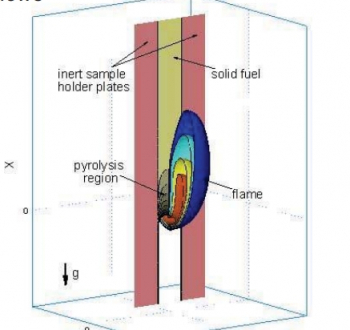 To this end, the results of the SAFFIRE experiments on OA-6, OA-5, and OA-7 will help determine microgravity flammability limits for several spacecraft materials, help validate NASA’s material selection criteria, and help scientists understand how microgravity and limited oxygen environments affect flame size. When asked by NASASpaceflight.com if the accelerated departure date from ISS resulted in any replanning or timeline shifts for SAFFIRE III, Mr. DeMauro of Orbital ATK stated, “The only replanning required was scheduling support from NASA Glenn for Saffire, which was not an issue. “We were aware of a possible early departure so we worked that plan well in advance so there didn’t have to be any scrambling. All training and rehearsing for SAFFIRE and NanoRacks was also done well in advance so the team is ready to go. Four days after release and SAFFIRE III, Cygnus will perform the A2DV and A3DV burns. A2DV will be a 279 second burn beginning at 10:57:40 EDT (14:57:40 GMT) on Thursday, 8 June. The burn will change the craft’s velocity by 24.53 m/s (80.47 f/s). A3DV will follow at 11:48:04 EDT (15:48:04 GMT) the same day. This burn will last for 265 seconds and will alter Cygnus’ velocity by 23.5 m/s (77.09 f/s). Both burns are designed to place Cygnus into the proper location for deployment of the Nanoracks satellites it carries. Nanorack Deployment #1 will take place at 16:46 EDT (20:46 GMT), followed by Nanoracks Deployment #2 at 19:46 EDT (23:46 GMT) on Thursday, 8 June. The OA-7 Cygnus’ mission is currently slated to end on Sunday 11 June.